Arthur was a legendary king of ancient Britain. He appears in a group of stories that are together known as the Arthurian legend. 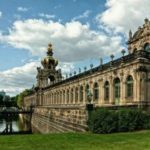 The stories are a combination of history, myth, romance, fairy tale, and religion. 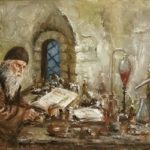 They have captured peoples’ imagination for many hundreds of years. Some people believe that Arthur was a real person who lived in Britain in the AD 400s or 500s. He led the Christian Celts in wars against Saxon invaders. He was remembered as a hero and a wise and all-powerful king. 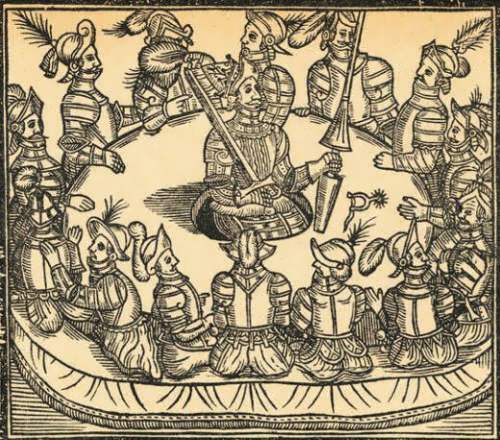 King Arthur’s followers were known as the Knights of the Round Table. They used a round table so that each would have an equally important place at the table. According to the stories, Arthur was the son of King Uther Pendragon. One stormy night, Merlin, a wise old wizard, left King Uther’s castle. 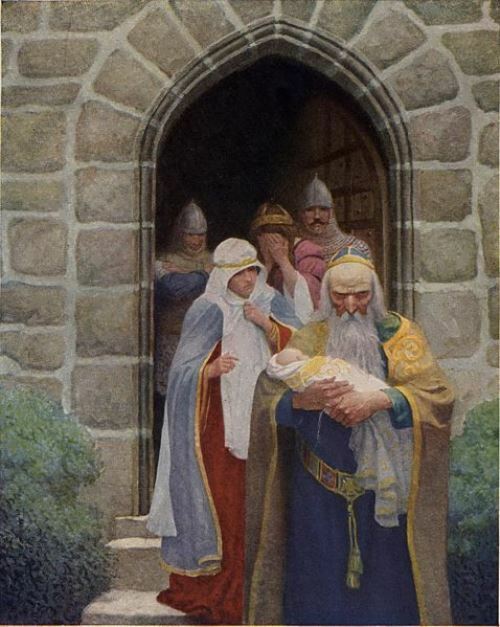 Under his cloak, he carried a baby – the king’s only son. King Uther had given the baby to Merlin to keep him safe from his enemies. He never saw his son again. Years passed and King Uther died. All over England, many knights wanted to become king. So they began to fight, and there was no king in the country for a long time. No one knew about Uther’s son. But Merlin knew. Hundreds of knights came to London with their families and friends, and set up tents. One of these knights was Sir Ector. He rode to London with his two sons, Kay and Arthur. Kay had just become a knight, but Arthur was still too young. He was only sixteen. Sir Ector found an inn near the tournament where they could spend the night. Early next morning, they set out. Kay was very excited. He was about to joust with other knights for the first time. But halfway there, he stopped in a panic. ‘I’ve left my sword in the inn!’ he cried. ‘I’ll get it for you!’ said Arthur and rode back to the inn. But the inn was shut. Everyone had gone to the tournament. ‘Where will I find a sword?’ Arthur wondered, as he rode past the Abbey. Suddenly he saw a sword in a big stone. Arthur climbed down from his horse and went to the stone. He pulled out the sword easily, ran to his horse and went to find Kay. ‘Here you are!’ he said, handing his brother the sword. Kay stared at it. He knew right away where it had come from. But he didn’t tell Arthur. Instead, he took the sword and ran to find their father. But Sir Ector was not easily fooled. ‘Really, my son?’ he said and took both boys back to the Abbey. Arthur returned the sword to the stone. Sir Ector and Kay tried to pull it out again, but couldn’t. Then it was Arthur’s turn. The sword came out as easily as a knife out of butter. At once Sir Ector and Kay fell to their knees. Arthur was surprised. ‘Why are you kneeling?’ he asked. Arthur didn’t understand. What did his father mean? When all the knights gathered together, Arthur was still the only one who could pull the sword from the stone. ‘Arthur is king!’ cried the crowd and knelt down before him. So Arthur became king. He ruled wisely from his castle called Camelot, giving help to anyone who asked. 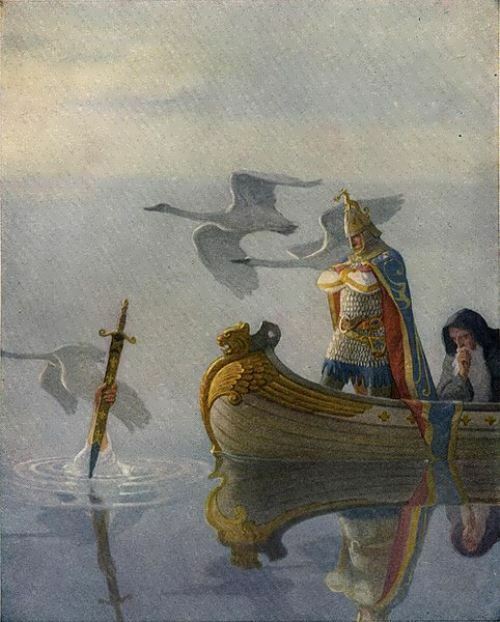 In another version of the story, the Lady of the Lake handed Arthur the sword, with only her arm visible above the water. One day, King Arthur was riding in the forest when he saw a well. Near the well stood a knight named Sir Pellinore. Sir Pellinore was one of the strongest knights in the world. ‘I’m ready to fight,’ answered King Arthur. The two knights began fighting. First they fought with their lances. Then they fought with their swords. Suddenly King Arthur’s sword broke in two. ‘Ha! I’ve got you now”, cried Sir Pellinore. Sir Pellinore thought that he had won the fight, but Arthur threw down his broken sword, jumped at Sir Pellinore and threw him on the ground. Then he took off his helmet. When King Arthur returned to Camelot, Merlin saw that his sword was broken. So King Arthur went with Merlin. A few hours later, they came to a large lake, and in the middle of the lake Arthur saw an arm. The arm was holding a sword. The king looked again, and a beautiful lady appeared from the water. 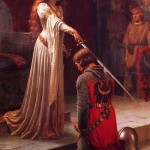 ‘Who is this beautiful lady?’ asked King Arthur. The lady walked across the water to Arthur and gave him her hand. ‘Таkе it,’ said the Lady of the Lake with a smile. She showed Arthur a little boat hidden in the reeds. 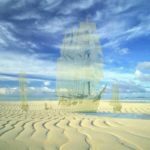 He stepped in and the boat glided to the hand. When Arthur took the sword, the hand dis-appeared. And when Arthur got back to the shore, the Lady of the Lake had disappeared too. Arthur took the sword out of the scabbard and looked at it lovingly. ‘Which do you like best, the sword or the scabbard?’ asked Merlin smilingly. ‘I like the sword,’ answered Arthur. ‘Yes, it’s really wonderful. But the scabbard is more important,’ said Merlin. 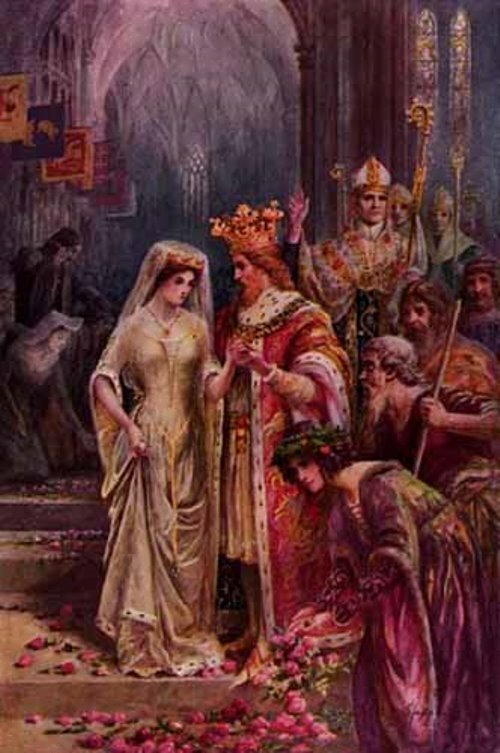 King Arthur married Guinevere and held court at Camelot. He and his strong and brave knights all sat as equals around a great round table. They came to be known as the Order of the Round Table. 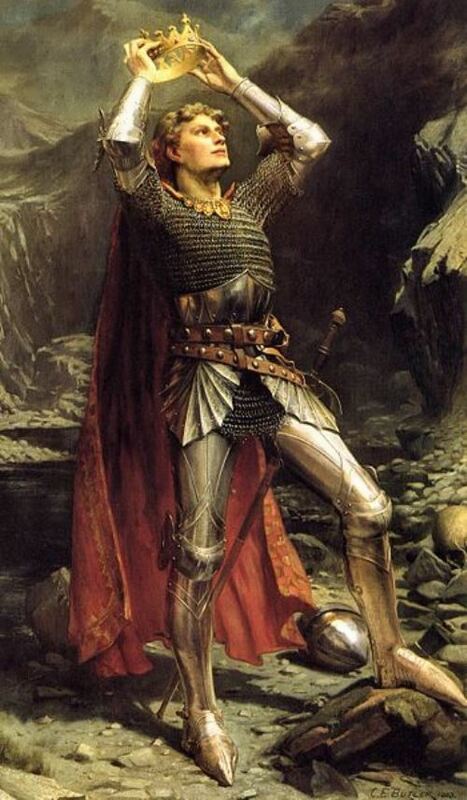 Sir Lancelot was the greatest of the knights; Sir Galahad, the most noble; and Perceval, the most innocent. Knights were soldiers who swore loyalty to a lord. The real Arthur, if he existed, lived long before the age of knighthood. Nevertheless, knights and poets of that period depicted him as a knight like themselves. 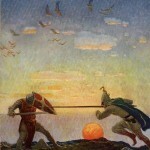 King Arthur was a mighty warrior. However, his traitorous nephew, Mordred, rose in rebellion. Arthur was badly wounded in battle. 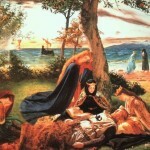 His body was carried to the island of Avalon to be healed. At some future time, according to legend, he will return to rule again. In some stories about Arthur he and his knights sought the Holy Grail. 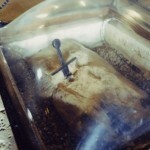 In Christian legend, the Grail is the cup used by Jesus at the Last Supper. According to legend, only the pure could see the Grail. However old the myth of King Arthur and his knights seems today, it had its origin. The author who first created the Arthurian legend was Geoffrey of Monmouth (about 1100–1155), a Welshman, and his book, History of the British Kings, was intended as non-fiction (and, as such, was written in Latin). In fact, it was a piece of brilliant propaganda designed to reinforce Welsh identity under the Norman threat and describing Arthur as a Welsh national hero who fought against the Anglo-Saxons. 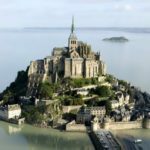 The first authors who adapted the Arthurian myth for fiction were French. To the warlike and heroic ideals of the original story, they added the new ideals of refined behaviour and courtly love. These were embodied in Sir Launcelot, the best of Arthur’s knights. It was in the late 14th century that King Arthur’s story re-appeared in Britain, this time in English. Paradoxically, the originally anti-English myth was re-used for the newborn English nationalism. Since the mid-14th century, King Edward III was trying to restore the tradition of native English culture which had undergone heavy French influence after the Norman invasion of 1066. The national renaissance resulted in a powerful outburst of literature written in English – most notably, the poetry of Chaucer. 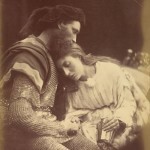 This was when the first Arthurian romances in English were written (all anonymous). 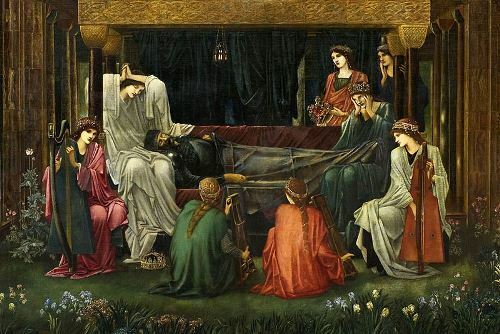 Sir Thomas Malory, an English writer of the 1400s, brought together many tales in his book Le Morte Darthur (“The Death of Arthur”). Most modern versions are based on Malory’s book. An English writer named T.H. White wrote four novels about King Arthur and his court. 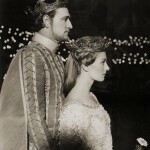 The novels were published in one volume called The Once and Future King in 1958. Geoffrey Ashe, a modern British historian and author of many books about Arthur, certainly believes that there was a real Arthur. He probably came from an important family, perhaps from Wales or south-west England. 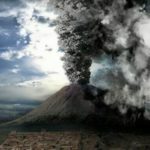 He lived around the end of the 5th century and the beginning of the 6th century. In Ashe’s opinion, Arthur had a great reputation all over the country for being a brave warrior and he became a kind of national leader. However, Ashe says that he never actually became king. 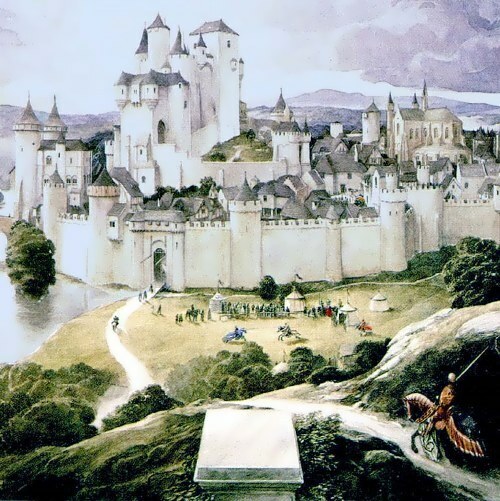 According to legend, King Arthur and his queen, Guinevere, ruled their kingdom in peace from their castle, Camelot… But if Arthur really existed, where was his Camelot? Many places in Britain lay claim to the legendary Camelot. Some people think that Camelot was Caerleon Castle in Wales. This ancient castle has given rise to many legends. Geoffrey of Monmouth in his History of the Kings of Britain named Caerleon Castle as the location of Camelot. Sir Thomas Malory in his The Death of Arthur (written in 1469) placed Camelot in the old castle in Winchester: ‘and within five days’ journey they came to Camelot that is today Winchester. Winchester Castle is also home to a huge round table. It’s hanging on the wall. 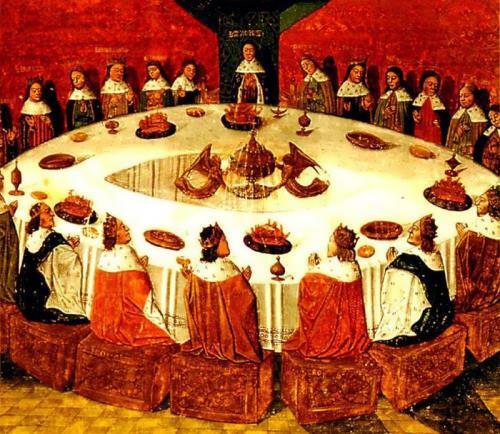 In 1485, William Caxton, the first English printer, said that this round table belonged to King Arthur. The names of 24 knights are painted on the table. King Arthur’s place has no name on it. Instead, his picture is painted on it. Scientists, however, say that this table was made much later than the time of Arthur. Some experts claim that Cadbury Castle, in Somerset, used to be the castle of Camelot. 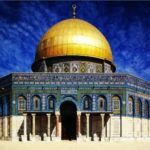 There is archaeological evidence to show that a powerful British warrior lived there during the 6th century. A Scottish author, Alastair Moffat, has recently claimed that Roxburgh Castle in Scotland was actually the site of Camelot.